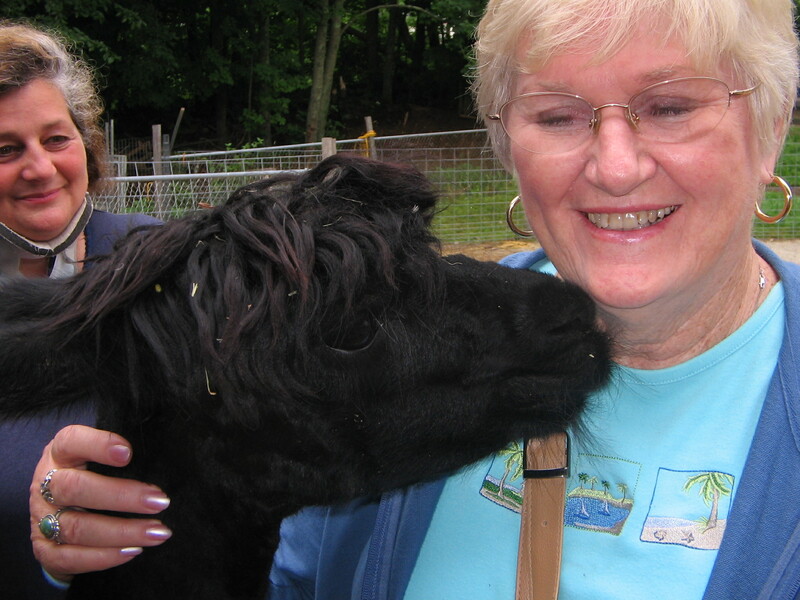 A Spinning Peddler's Fiber Mill - Alpacas and Smiles go together! Alpacas and Smiles go together! We currently no longer have Alpacas or Llamas for sale. The photo above was taken in New Hampshire at "Crown Point Alpacas". If you ever get back east, you have to meet Val the owner, pictured in the background. What a great lady and an inspiration. The photo to the left was taken in Penn Valley, Ca. 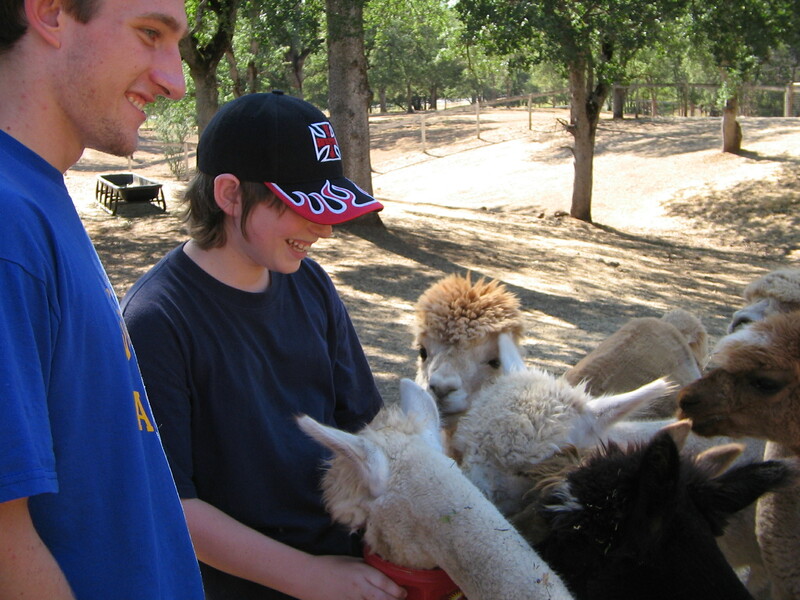 at "Gold Country Alpacas" .